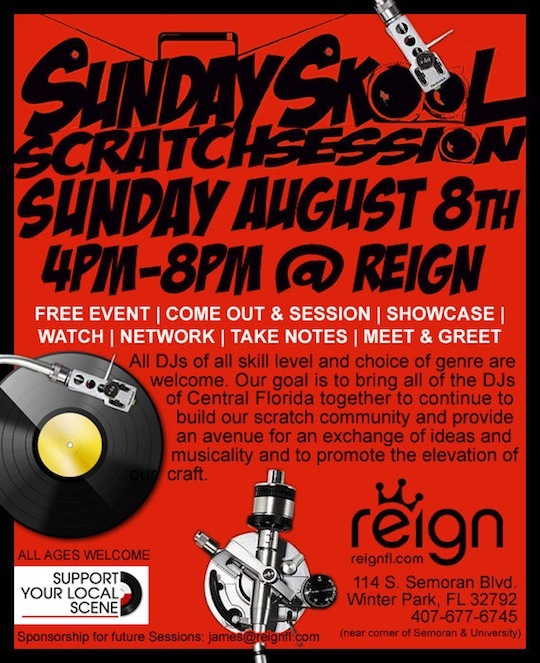 For those that missed that last Sunday Skool Scratch Session, the free Florida based turntablist event takes place on the second Sunday of every month and offers a positive collaborative environment for DJ’s of all types. All DJ’s of all skill level and choice of genre are welcome. Our goal is to bring all of the DJ’s of Central Florida together to continue to build our scratch community and provide an avenue for an exchange of ideas and musicality and to promote the elevation of our craft. The next session goes down on Sunday August, 8th 2010 from 4pm to 8pm.